Occulation — from the Latin verb ‘occulo’ meaning to hide; ‘ation’ — a condition, action or quality; thus the state or act of hiding, or being of a hidden nature. The word probably refers to the hidden meaning in the lines of St. Theresa’s poetry, secret information unknown to man; and/or to St. Theresa’s mysterious and hidden presence inside of Veronica whose body she uses to convey her message to the world. Veronica Lueken, the seer of Bayside, is a wife and mother of five children. She is in her mid-fifties and lives in one of the boroughs of New York. The story of her heavenly visitations goes back to the year 1968 when St. Teresa started appearing to her and giving her poems and sacred writings by dictation. Prior to this, Veronica had not received any manifestations from Heaven. Our Lady Herself appeared to Veronica in her home n April 7, 1970, informing her that She would appear on the grounds of the old St. Robert Bellarmine Church in Bayside on June 18, 1970, that vigils of prayer be held there, and that full directions be given to the clergy of the parish to prepare for Our Lady’s first visit there. Our Lady also requested that a Shrine and Basilica be erected on this Her chosen Sacred Site, which is to be named, “Our Lady of the Roses, Mary, Help of Mothers”. She promised to come on the eve of the great feast days of the Church, which dates would be given to Veronica beforehand. The Blessed Mother also instructed Veronica to disseminate the Messages given to her throughout the whole world. On June 5th, 1968, while listening to the radio, Veronica was distraught upon hearing the news that Senator Robert F. Kennedy had just been shot. Veronica was moved to compassion. The Kennedys, besides sharing the Catholic faith, had been beset by a succession of tragedies in the family. While driving her husband to work at a construction site in Flushing, Queens, New York, Veronica listened to the news reports and joined the prayer sessions being conducted for the dying Senator. In her heart, she felt that Bobby would be miraculously restored through the many prayers being offered. The thought suddenly came to her mind to invoke Saint Theresa, a saint she had only heard about in her childhood. By Divine predilection, Saint Theresa, the saint of the 'Little Way' or the way of spiritual childhood, had rapidly acquired the reputation of being a veritable prodigy of miracles. This inspired Veronica to invoke this popular saint inwardly with the prayer: "Oh, St. Theresa, if you could please intercede...Ask Jesus to help him...and give this miracle". "Though he was very ill, I knew that with enough prayers he could recover miraculously. Suddenly, I was most startled to have this heavy fragrance of roses come towards me. At one point it seemed like there was a petal almost under my nose. Oh, it was beautiful! It wasn't as though I was smelling one flower—it was like walking through a flower shop!" The unexplainable odor lasted only a few moments. At this point, not wishing to tell anyone, Veronica quickly dismissed it from her mind. Later that same afternoon, Veronica drove her father to the hospital for his regular medical check-up. While waiting for her father to complete his examination with the doctor, she began to pray the Rosary for Bobby again. No sooner had the first Hail Mary escaped her lips that the peculiar fragrance of roses mysteriously presented itself again. You can well imagine the strong odor of roses amidst the antiseptic atmosphere of a hospital. Veronica then felt a little frightened—smelling roses when there were no roses! Again she brushed aside the matter. However, after thinking the matter over at home, Veronica then decided to seek the advice of Father Sullivan during confession, one of the priests at her parish of Saint Robert Bellarmine located in Bayside Hills. Father Sullivan reassured her there was nothing to get excited about or to be unnecessarily disturbed, that Heaven works in most mysterious ways, and to continue praying for guidance. Veronica went home and did just that, yet continued to be plagued by the thought of just what was happening. 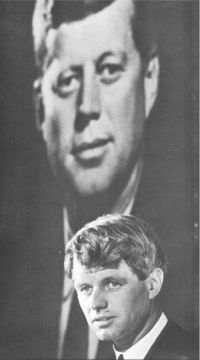 Meanwhile, Senator Kennedy's condition continued to deteriorate. Veronica continued the Rosary late into the night praying for the miraculous recovery which she was still confident would happen. However, when her husband Arthur urged her to retire as it was already past midnight, she blurted out, without knowing why that Bobby was going to die, and this would happen around 2:00 a.m. This said, she climbed into bed. 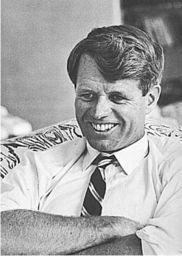 Senator Robert Kennedy died early that morning at 1:44. Needless to say Arthur was a little shaken when he heard the news. Veronica was off to see Father Sullivan again, who repeated his previous counsel not to be upset but to continue to pray on the matter. The miraculous scent of roses came over her again a third time while viewing the funeral service for the Senator on television. "I slipped out onto the porch, and I was looking up to Heaven", Veronica said. I started to say Hail Mary, asking for the intervention of Our Lady for his soul. Well, the same thing happened again—this fragrance of roses started to come over me. However, this time I was frightened. I said, 'Oh, please, not again!' and instantly it was gone." Veronica then returned into the house. Then Veronica was told, "You must never honor a human being without honoring the Mother of God also". Then the poem To a Miraculous Mother was given to her. This was all witnessed by Arthur who was somewhat taken aback with dismay and unbelief. "The next morning I awoke and I knew what had happened. Yet I didn't remember what exactly I had written until I read it. But once I read it, then I remembered everything." It then dawned on Veronica what was happening. She wrote to Cardinal Cushing of Boston. This led to an exchange of several letters over a period of time. Cardinal Cushing, in Veronica's opinion, was neither a believer nor a disbeliever in her Bayside visions. Plans had been made to visit him, but he suddenly became ill, and Veronica, having a premonition that he wasn't going to survive the illness, felt compelled to bind him to the following promise: that if he should leave this world before she did, that he give her a sign that he finally knew the truth and believed. Also, he was to give this sign two or three weeks after his death. Cardinal Cushing was quick to respond to the challenge. A lady who lived on Cushing Ave (!!) in Dorchester, Massachusetts, who had been attending the Vigils for a short time, paid Veronica a visit one day, and offered her a beautiful statue of Our Lady of Mt. Carmel. Veronica said to her that surely she was not willing to part with the magnificent statue. The lady replied that she felt she just had to give her the statue. The lady then informed her that it had been given to her by a Father Cushing who years later was to become the Cardinal of Boston!! You can imagine the shock and joy Veronica experienced, for she knew this was his sign that he was now a believer. Besides having Masses said for Veronica's personal intentions, in one letter the Cardinal enclosed a Mass card for Bobby Kennedy's intentions. Veronica was so pleased with the gift that she encased the letter in a frame and hung it on her living room wall. On August 4, 1968, at about 5:30 a.m., Veronica was in the living room making preparations for the early morning Mass. Suddenly this same framed letter went floating across the living room, as though propelled by an unseen, unknown force, and crashed with a loud noise at Veronica's feet. This turned out to be a little too much. Veronica hastily sped to Saint Robert's again. This time she spoke to four priests who were gathered in a room at that particular moment. "Well, when you are telling the truth, you have no fear of speaking out. I went up to the Fathers not realizing that they couldn't believe me. So they ushered me out of the place, 'Be a good girl, please go home', they said. This was about the fifth visit I had made there. "So I went home crying. This is when Theresa started giving me her first instructions. "I had almost reached home when this voice, this inner voice, said to me: 'Veronica, whenever you have a problem, or have anything you would like the answer to, I want you to go home, open your Bible at random, cast your eyes to the last left-hand page, and read whatever your eyes fall on...'"
So Veronica went home, opened the Bible at random, and looked at the left-hand page. "Oh, my heavens!" she exclaimed. A bright light appeared and blotted out everything but what she was to read. It was Job 27, and it said: "I am the Almighty. I will teach by the hand of God what the Almighty has in store." Veronica then began to understand. "It was about 10:00 a.m. Tuesday morning. I'll never forget it. I was dusting the top of my dresser, which I made into a kind of little altar with Theresa on it, the statue. The statue fell over, and made such a bang I thought surely it would be broken. To my amazement it was not even damaged let alone broken. Impulsively I said, 'Oh, Theresa, I'm so happy you didn't break your neck!' As I was setting the statue down—oh, shock of shocks!—there appeared a pinpoint of light on the wall behind the chest to the right of the statue. At that moment I was standing in front of the chest of drawers. It was a white light, like a crystal white light. I noticed it was coming from the east because the bedroom chest against the wall faces the east. This is important because everything I saw seems to come from the eastern direction. "As I watched, this light started forward. The light seemed to be coming through the wall towards me, growing in circumference. I said to myself, 'What's this?' All of a sudden it seemed to lose all sense of being in the room. I felt— the only way I can explain it is I felt like my head was sticking out in some kind of vast space. It was so quiet. There seemed to be like a mist going across my face. I still remember the deep grayness of it. But as I kept watching, the light kept advancing towards me as though coming from a great distance, the light always growing wider in circumference, opening up as it came towards me. "Suddenly as the light came sort of—oh, around me, I saw a face; but it was like miles away—just a tiny little face, but getting larger as it came towards me. it was a face like that of a woman. I said to myself, 'Gee, where's her hair or her neck or body?' Her face kept floating towards me and soon I was looking straight at her. She looked at me as though she knew me, as she was smiling softly. I, however, did not know her. She looked as human in a way, not human in body, but just like you or me, except for this light. it's this light they acquire...She had a face but there was no body, although I didn't feel that that made any difference. "So as I was looking at her, I said: 'Who's that?' But just as I said that, there was like a blast, a force, or an explosion, but it didn't hurt. It hit me on the right side of the face and pushed my head up and to the left. "The same face was still there but the light that was coming out from under her skin made her look so beautiful! It made her skin look so very white. In fact, the light was so bright that I can't remember her nose and her mouth. But I remember her eyes, because they were flashing with such happiness. "And then as I looked, I didn't hear a word, let's say ear wise, but I knew she was saying, 'This is what Heaven is like!' And oh! I was so thrilled that I screamed out, 'Saint Theresa!' I must have shouted it, because my son Raymond came running into the room. He was ten years old at the time. I seemed to come back a little more to consciousness of being in the room. "Well, Theresa had sort of rounded cheeks, sort of a full face. Again I said to him, 'Well, I want to make sure that somebody else is seeing what I see. Ray, tell mommy what you really see there.' And he said, 'Well, mommy, it's a lady with a fat face, but she's all lit up!' The light then died down, and she just disappeared. The whole thing was gone." Raymond, overwhelmed by the vision of Saint Theresa, could not contain himself and immediately rushed out the door to tell his friends. However, the reception he experienced did not correspond to his expectations. The taunts of his schoolmates eventually silenced him on the subject. Raymond, guided by Jesus, eventually did place on tape his testimony about seeing Saint Theresa, but only after two years had elapsed, and only after much coaxing and the repeated requests of his mother. At such a tender age, one is only too vulnerable to ridicule and mockery, to being labeled as 'crazy' by one's own friends. However, Veronica herself was told to tell everyone about the visits of Saint Theresa. This led her to consult a priest in confession at St. Robert's. Returning to Veronica's experience of the explosion, when she was hit by that tremendous force in the face, St. Theresa entered into her in spirit. For three days Theresa lived in her dictating through her many messages, keeping her awake for three days and three nights approximately. Only after the dictation was finished did Veronica retire to rest. The next morning she was awakened by a force, like a pulling at her, pulling out of her and floating away. It was as if she was losing her very own self! It was a most heartrending experience as she had become so attached to Theresa. Theresa was leaving, and Veronica, to her great chagrin, knew this. Veronica was consoled, however, when St. Theresa appeared to her again a few weeks later. St. Theresa using Veronica's body is not in any way related to the false theories of reincarnation; rather, St. Theresa was placed inside of Veronica as part of a special mission from God the Father. Saint Theresa instructed Veronica that everything she told her was to be put in writing, dated, and recorded with the name Veronica along with a cross and the letters JMJT (Jesus, Mary, Joseph, Theresa). Veronica - Several years ago, Our Lady asked that the past messages of Jesus, Our Lady and St. Theresa, during the early years of 1968, 1969 and 1970, be placed into a booklet or book and given to the world. I will try to explain fully with the help of Our Lady and Theresa and, of course, Jesus, to give you the basic facts behind each of the messages given through me from St. Theresa and Our Lady back in those early years—how they were formed and how they were written. On May 23, 1969, St. Theresa was in my bedroom in the apartment in Bayside on 69th Avenue. She said that we will now give Heaven's message in a manner, a poetical form, so that those people who would perhaps not read the Message in straight writing, would perhaps look into this Message and read it, because it looks like poetry. However, if you will listen, you'll understand it's a deep and most earnest Message to the world. St. Theresa said that we will call this message "It's Raining Teardrops From Heaven". The souls that haven’t been true. And send our hearts up in prayer. He’s suffering more in our years. To save our souls from regretting. When sinful ways make us weak? To choose to be faithful and true. The goodness inspired by God. But Heaven is earned very hard. If we just try a little to care. The joys will be just added graces. By accepting here lowly places. As you may know, St. Theresa had quite a sense of humor. And as we go on, perhaps I can give you some of the wonderful insights into the sense of humor that Theresa had, and I enjoyed. In expressing many of the messages, Theresa had this way of explaining it in a most comical manner. I would like to share with you the message given on May 23rd, also in 1969. Theresa said as she made me write this in dictation: This will be called now "Storming Heaven". And this is how she had me write it. So don’t think of slamming the door! Please don’t say that I’ll need much more! Or the souls that I’ve tried to bring You. But would that be enough to please You? Signed by Mary and dear Saint Theresa. Do with love, and it’s sure to please You! Won’t You, please, Jesus, open the door? But that all changed when I let You in! I’ll see all Paradise inside. A true soul to the Heaven he finds! On May 20th, 1969, Theresa dictated to me another poem-message, and she said we will call this "The Cross Beneath the Roses". Fostered by the memory of His beloved face. On October 11th, 1969, St. Theresa gave me this message for the world in poetical form. It is called "Moratorium of the Light". Till the light has become a sad blue. While the soul dies—the body is living! He’ll gather the ones to be fed. For the souls have descended to night. For we’ll seek to remove this dark blight! Wander not in the earth’s darkest mores! By extending their sickening lures! Cry out loud for the justice to God! Even though you may find this is so hard! They are scattered in far away regions. To become part of Christ’s Holy Legion! And I care do you? Will you love Him till the end time? There’s Heaven then for you! In the year 1968, St. Theresa appeared to me, and I was given many messages to write, dictated by St. Theresa. Our Lady was present on many of these writings. And, of course, my husband Arthur was at that point almost torn with distraction, being so terribly upset to see something going on that was far beyond what he could understand. I'm going to now read to you a message given to me—through me I mean—by Theresa to explain much of what was going to happen. For years I've had this message, the original handwritten message, and I didn't understand it. But now after ten years, it's so clear, and so ties in with all of the work, all of the messages, and all that has happened. When I spoke of how Theresa entered into me, and then pulled out—this poem-message by Theresa was to prepare me. And I am in such great peace, because for ten years much was a mystery to me, being a human being. But now it's all so clear. Heaven had such a well-laid plan—link by link for the Mission of Heaven of Our Lady of the Roses. Theresa says that it's time now that Heaven takes some action: that things are commencing to be even worse and all the great punishments will have to come upon mankind unless we work very hard. Even the saints in Heaven are very terribly upset over the goings-on down there on earth, and they want to help Jesus. Theresa promised that when she went to Heaven, she would spend her time in Heaven doing good on earth. Well, I guess Theresa convinced many other saints up there that they've got to get together now and do something. This is really hurting Jesus and Our Lady so very much. Their hearts are torn all over again. Jesus suffered so much, and now is being re-crucified again. And this is not fair. They love Him so much. Theresa said, "You will write this message to the world, and you will call it, ACTION SAINTS' RENEWAL." Though it may sound like poetry, it's a message. It will explain perhaps how Heaven used my body to be a sort of instrument. When you go out of your body, and go to Heaven, or even purgatory, life is eternal. Your soul, your spirit, is forever living. Though your body dies, your soul is always living. Now how can it be explained that a saint can come down to earth when she doesn't have a body anymore? Now I will go on, and you will hear this message given by Theresa. I'm sure if you will listen to each word carefully, you will understand what Theresa—and Our Lady was standing there at the time too—are trying to give to all the children of God on the earth, whom they love very dearly. They want them to understand why Our Lady had to appear later on. There is an action front being set up in Heaven now. The saints decided they had to do something to help Jesus and Our Lady in this terrible war that's going on with Lucifer; especially now when he is loosed upon earth. Will lose the heart that’s true. As souls descend to night. Some souls just like a toy. In every way they knew. To save a soul from sin. In some new earthly way. And want to lend a hand. When last seen in a hole? If they will make you pray. He gave us all His heart. Or were we worldly smart? The road to Jesus every day. If sent to that other place! The habit won’t come hard. To care in everything you do. To separate wheat from the chaff? Made known by the power of His staff. Eat of fruits that are divine! i.e. Jesus is the Vinedresser (the Tree of Eternal Life). From seeds (graces) come salvation of souls. These are the "fruits of glory"! All around are given the "seeds" for ultimate fulfillment (the Kingdom of God), by following the Way as given by Jesus: full bloom of the flower of Faith, with the Cross always beneath the roses. No man knows the full glory that God has in store for those who love Him! On the road that I do seek. I’ll trip and stumble, that’s for sure. To the Kingdom You’ll abide me. At such a cosmic sight? When the shackles are cast aside? When You claim Your loving brides? On July 8th, 1969, St. Theresa and Our Lady appeared in my bedroom, and St. Theresa dictated to me a poem-message called "Exhortation". On November 9th, 1969, St. Theresa dictated to me a poem-message called “Faithful and True”. And this is how it was written. How old satan got in. From those dark, hidden places! Cast aside by the few. Of the folks who still care. What a true love can do! On August 19th, 1969, Theresa dictated to me a poem-message, which is to be called "Spiritual Childhood". And she also told me that this is the feeling expressed when talking with Jesus. Accept it with Your blessed joy. The next poem-message you may find a little difficult to understand, but as I told you before St. Theresa has quite a sense of humor. And if you listen, you will understand. This is like almost, I laughingly said, like baking a cake; but, of course, the bread would refer to the Eucharist, and the dough would be the person who is being shaped and molded into a certain form. Theresa said to write: This is how you would mold a soul. And mix them well with prayer. With sugar or with spice. The bread is always nice. In this message you would understand when Theresa says "Turn them out with flowered hearts", flowered hearts would be referring to the roses that are significations of graces. Send them out with hearts filled with the grace and the love of God. Also, when Theresa wrote "Set their paths towards glory, with sugar or with spice"—well, sugar would refer to all the good things that are in store for mankind when they follow the path given by Heaven for their redemption; the spice would be the knowledge of hell and purgatory and the Chastisement, and all the other penances that are given to mankind if they do not listen. In July of 1969, Our Lady was in my bedroom with St. Theresa, and I was told to write this, dictated by St. Theresa through me. It was to be called "Lady in the Light". The souls She will come to when answering appeals. To carry Her message to souls of all nations. Sent forth from the heavens and the Father of love. On August 30th, 1968, St. Theresa dictated to me another message that was to be given to all the Carmels of the world—that would refer to the Carmelite nuns and their vows as brides of Christ. Theresa said this is to be called "Tomorrow My Bridegroom". And know You will appear. For Heaven will be mine. And wants us all to pray. To me You will appear. Until it led to You. Given to Veronica by Saint Theresa on October 28, 1968. Through the shadows of time. Will need love and endurance. But our hearts in the sky. In the light of their glory. And trials that do foil. Who rose all above it. When He makes His call. On August 9th, 1968, St. Theresa dictated this message to me. It's called "To the Lord of Hosts". The supreme moment of sacrifice and acceptance. From the miracle of the one and the same Host. The presence on earth of the Spirit within us. All existence of our earthly being. Now to strengthen you upon your road to life, this message in poetical form was given by St. Theresa on August 3, 1968. For I have learned to pray. Along the path to You? To be Your loving bride. Of when you came so near. Were gifts that came from You! In January 8th, in 1970, St. Theresa and Our Lady appeared in my bedroom, and there was dictated to me by St. Theresa a poem-message called "Pieta". Now the Pieta (Michaelangelo's statue) was brought over from Rome to the very grounds where Our Lady is holding Her Vigils now in Flushing. It's just marvelous how Heaven had everything planned out that we should be where Pope Paul said Mass back during the World's Fair in New York. How very strange it is to all us humans! But God has such a wonderful plan for all our lives to allow Our Lady to come here. This is the message, the "Pieta". Can You really love us still? With a heart that's pure and kind. Only seek and ye shall find! Kiss the wounds that sin did bleed. Lust and envy, hate and greed!! To make the road grow long and wide! Listen now while there is time! If you work to reach this goal! Now you see how much in perfection Heaven had this all planned, Our Lady appearing, because that message was given on January 8th, 1970. Now, at that time, the Vigils had not started on the Shrine of St. Robert's grounds, and Our Lady's first appearance hadn't started; and yet here already Heaven had written (which I understand now after many years) all about what they meant by the "magic circle". Because, as you know, there is a circle now kept where Our Lady appears. And listen now while there is time. Turn and give your life to Jesus; let Him lead you to the Shrine. At that time there was no mention of the Shrine at St. Robert's. That came later on, because the first Apparition there was on the 18th of June, 1970. So you can see, way back in January, though I didn't understand at the time, Heaven had it already planned for Our Lady to appear there in June. And yet this was dated January 8th, 1970. I understand so much now how everything through the years has been planned so perfectly to fall into place by Jesus and Our Lady. On January 3rd, 1970, I'd like to tell you at this time, that everything from the written notes, the handwritten notes—this and much more was sent to Richard Cardinal Cushing of Boston. Everything that I received from Theresa and Our Lady and Jesus was written and sent to him. Daily he received letters and the notes from me. He was very kind to me. He sent many Mass cards and letters back to me, stating that he will have Masses said for my benefit. Somewhere in Cardinal Cushing’s effects are the messages, the poem-messages, and many writings, that were given to Cardinal Cushing in a red loose-leaf notebook folder. It was a pliable thin-bodied red loose-leaf. And I'm sure somewhere in Boston that folder is still lying. I sent the second copy of the original writing dictated by St. Theresa to the nuns at the convent of Lisieux. The Mother Prioress told me a year later that one of the nuns took the liberty—she thought they were of such supernatural quality, and they were very personal—and she burned them! This is what the Mother Prioress wrote in the letters to me. But, fortunately, there were many other notes I had written, and I had sent them just copies so I do have much of it left. Perhaps in God's grace, one day, the red loose-leaf notebook will be found somewhere in Massachusetts. I do want to give you the poem-message given to me by St. Theresa, dictated on January 3rd, 1970. She said we will call this "Cross My Heart Forever, Jesus". To Your land of love and bliss. Shining there with godly treasures. Place the seal that makes me free. Give me eyes and heart to see. Strengthen us with Heaven’s power. Send the essence of the flower. There was another poem prayer-like message given to me, dictated by St. Theresa, and it was called "To a Miraculous Mother". Blessed Mother, be my guide! Be there always by my side! Show me there’s a bright tomorrow! I thought that I would add here that I have found the notes, of August 20th, 1968. I sent a telegram to Cardinal Cushing at 12:30 p.m., to Richard Cardinal Cushing's residence at 2101 Commonwealth Avenue, Brighton, Massachusetts. And I wrote in the telegram: "For the glory of God, please listen to St. Theresa!" I had previously written him a letter, and told him that on Monday this terrible black eagle had appeared in the sky, and shouted, "Woe, woe, woe to the inhabitants of the earth!" And sure enough it was that Tuesday Czechoslovakia was invaded. I then understood why when I was walking down Springfield Blvd. I saw in vision this tremendous black eagle, very ominous-looking. And it shouted out, "Woe, woe, woe to the inhabitants of the earth!" If our Father blessed me with a colorful brush, what creatures of the heavens could I capture to bring here to earth in their full glory. For one who has eyes to see, your journey to the Kingdom would be guided by these heavenly inhabitants. To describe them to an earthly soul would fall far short of their total being in description. For man has yet to find letters and words to cover a phenomenon. Now let's take St. Matthew, known as the man. An elderly hospitable spirit, full-faced, covered by whitish hair. ("I wonder if combs were used back in those days. Our heavenly visitors always looked like they could use a good barber!" - Veronica's comment) A face so kind but worn. Watching us down here would put the wrinkles in anyone's brow, let alone a compromising spirit! Matthew, being shy, likes to hide behind a furry cloud, venturing to peak out unnoticed. One day I caught him with his clouds down. I guess it was because he was so overcome with the goings-on down here. It didn't rain that day: that was Matthew crying! St. John can change colors. Oh, wouldn't our earthly races love this! He prefers the dark lately, because he prefers all the effects behind his 'woe, woe, woe!' Black is always so ominous. A black eagle might get the message across. White is too peaceful! The elders call him eagle, but with clipped claws, for this is a loving spirit. He'd rather be red, but right now Our Lady has full priority on that color: it blazes out—stop!! St. Luke, the ox—but don't call him a dumb ox, for he was a master of the pen. Some use the sword, but he'll take the pen. Of course, I have to mention the eagle. John soars to great heights in his description of the divine nature of our Jesus. St. Mark came in with the lamb. He wants a lion's share of heavenly company. Stars out of heaven have to fool those devilish spirits by using pseudo-pictures of themselves. Code pictures to the elect. Occasionally a beast shows up in the picture, then it's most confusing. Of course, these little devils won't horn in on everything! Now that wording might be a little much of a mystery for people to understand. But you see, much is given in symbolism. And much of this also refers to the black eagle that I saw in the sky before Czechoslovakia was invaded. To see this dear friend who we call 'Golden Boy'. The suffering Christians that satan can't bend! When Jesus came down to remove the dark blight! He gathered His sheep, from pastures grown thin. From the bare desolation—all the products of sin! To meet all we love, and our God face to face! So in light you’d ever roam. Veronica - ... the story in poetical form called "Tripping", because even reading it back is difficult due to the emotions it seems to cause within, and the difficulty in reading something that seems almost like it's in a musical—it has a beat to it—to put into words, on paper it's simple, but to put into words it's difficult. Anything, everything to have a good time. There he stands there grinning, friend or foe? Can't tell anymore, I'm a real gone Joe. Gotta make it fast or you'll disappear. Now he's coming closer, but who is he? First there was one, but now I see three. It's feeling so hot, but it ain't summertime. My steps are uneasy because I always see snow. They're praying so hard that leads me to a square. One can have my body, and the other I’ll surmise. The fires are burning, and they're not for me! There's still enough time to join the other side. Awake and find the hang-up with the fear. To Our Jesus and Lord, for a heavenly start. Veronica - I just want to tell folks that I just don't have the beat, because it was difficult to try to relay that message with the style, I just don't have the beat. His arms stretched open wide. To be there at his side. For [word unclear] you'll find these, too. Veronica - . . . [the tape] it met with a catastrophe, it broke. I'm not sure if I had a second taping of the messages of 1968, and this one I came across being a beautiful story of Theresa and her meeting with Our Lady, and the Baby Jesus in Heaven, I thought surely I could put it down on the tape now. This was in November, 1968, that it was given. And this her meeting day. And suffering in the past. That flowed in life's lost stream. The day she came to me. Given to Veronica on October 15th, 1969 by the Holy Spirit. “We are in needy times! The Chastisement is close at hand! Each Christian must take up the banner of Christ, and go out into the world to gather JUST ONE sheep to save from the engulfment of desolation ahead. If each Christian gathers just one soul, the entrance into Heaven will be magnificent and voluminous! “If you love your neighbor, you could not see him in pain, physical or mental. And picture the torment of a damned soul: the anguish of heart to lose eternal happiness! The voices crying out from the fiery engulfment! And the pain of our Father—to have to turn away! Yes, at the final moment, all will know the truth—too late! There will be no 'starting over' or 'going back', for this is time: past, present, future—now!" Veronica – This message in poetical form was given to me by St. Theresa shortly before coming to the Vigil (August 14, 1981). I was quite startled to have this phenomenon, as the world would call it, because of the fact that it has been many years since I have received from Theresa or Our Lady a pre-Vigil message in poetical form, as those in 1968 and 1969. But this is now to be brought in with the Eve of Our Lady’s Feast of the Assumption. Veronica – Then Our Lady spoke to me, but I’m sure She wouldn’t mind our putting this also with the message.